This article is 2782 days old. The information listed below is likely outdated and has been preserved for archival purposes. Windsor Police are seeking information regarding a vehicle involved in a motor vehicle accident that took place on the E.C. Row Expressway last week. At 9:15 p.m. on Wednesday, August 31, 2011, police responded to the E.C. Row Expressway at Howard Ave. in the eastbound lanes for a report of a motor vehicle collision. When police arrived they found a grey, four door Pontiac at rest facing westbound against the guard rail on the south shoulder of the road. The vehicle had sustained damage to the driver’s side. Officers spoke with the 20 year old female driver of the Pontiac who advised that she had been driving eastbound in the center lane of the Expressway approaching Howard Ave. She observed a blue SUV (make unknown) also travelling eastbound in the curb lane slightly ahead of her vehicle. Without warning or signalling, the blue SUV merged into the center lane forcing the Pontiac into the grassy median where the driver lost control and the vehicle began to spin. The Pontiac spun back onto the eastbound lanes and struck the guard rail before coming to rest. The driver of the Pontiac was not injured. The driver of the blue SUV continued eastbound on the Expressway without stopping. There was no actual collision between the two vehicles. The SUV is only described as being blue in colour. Windsor Police are requesting that anyone who may have witnessed the accident or who may have any information on the driver of the SUV to contact the Traffic Follow Up Unit at 519-255-6700 ext# 4218 or anonymously to Crime Stoppers at 519-258-TIPS (8477). 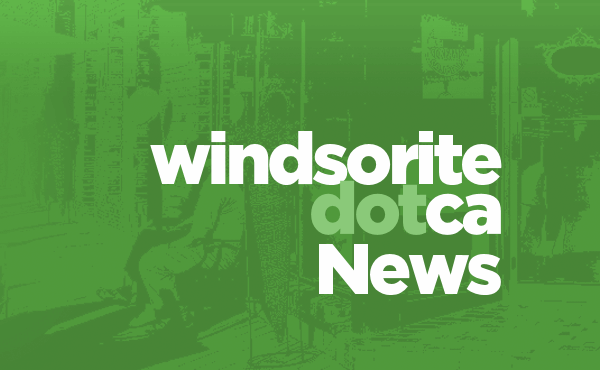 Copyright 2010 - 2019 windsoriteDOTca inc. All rights reserved.